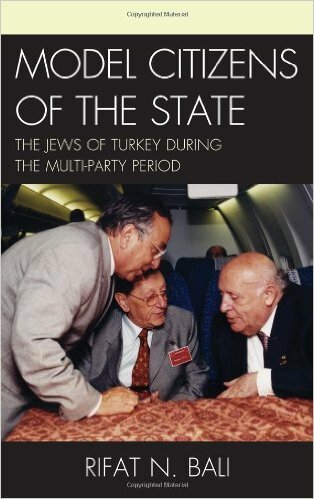 This book provides an exposé of the treatment of the Jewish community in Turkey from 1950 to the present, their fight against anti-Semitism, the struggle for their constitutional rights, and the attitude of the Turkish state and society towards these problems. In 2013, Zoryan launched the English translation of this seminal text. Turkish journalist, Ayse Gunaysu, described the book as: "groundbreaking...a first-hand account that unmistakably illustrates how the Turkish establishment blackmailed the leaders of the Jewish community - and through them Jewish organizations in the United States. This was to secure their support of the Turkish position against the Armenians' campaign for genocide recognition, indicating that if the Jewish lobby failed to prevent Armenian initiatives abroad - Turkey might not be able to guarantee the security of Turkish Jews..."